We are happy you are considering Saint Andrew as your parish home. 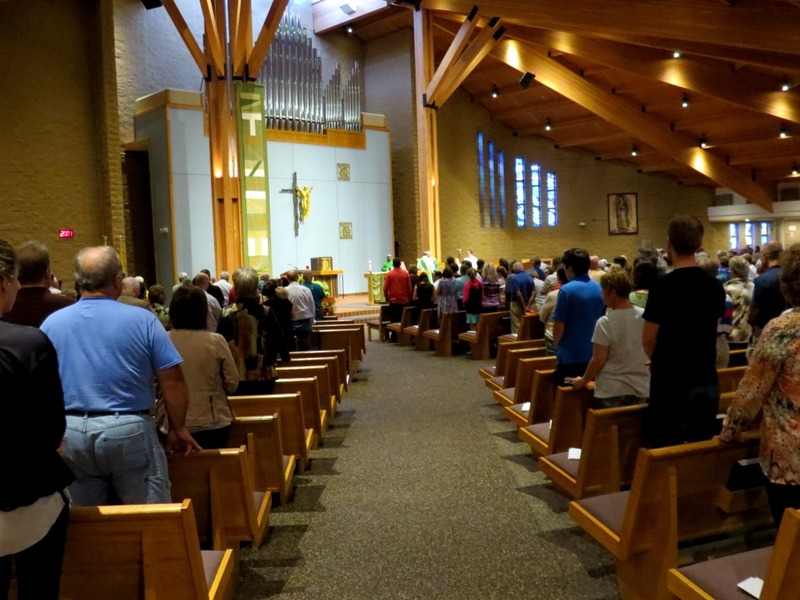 Everyone is welcome to worship with us, but registering as parish members enables you to receive regular parish communications, enroll in faith formation and sacrament classes, and more! It also enables the Church of Saint Andrew to better serve you and your family. To register as parish members, please print the new parishioner registration form, fill it out and turn in at the parish office. Office hours are Monday through Friday, 9 a.m.-4:30 p.m. Interested in Catholic education? Check out our parish school!